This healthy appetizer recipe may be small but is mighty in taste. Be sure to use a variety of peppers to add color to your setting. The great thing about the mini pepper stuffers is you can add just about any ingredient you like. 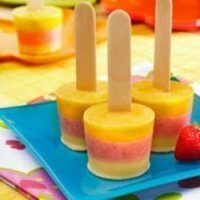 By mixing and matching different ingredients you will get a different taste to this recipe. Cut mini bell peppers in half and remove seeds and membrane. Leave the stems on to make it easier to pick these up to eat. In a small bowl, add all remaining ingredients and blend until cream cheese is smooth and spreadable. Spoon in the cream cheese mixture into the bell peppers dividing it evenly among the peppers. Sprinkle the mozzarella cheese evenly over the peppers. Line the grill with foil and heat to low-medium heat. 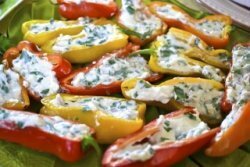 Place the mini peppers on the grill and cook until mozzarella cheese is melted. The nutrition information for the peppers was not used to calculate any of the points values above. This appetizer recipe can be modified to include your favorite ingredients. Try using ground Italian sausage, shredded BBQ chicken or Tuna to stuff these peppers and turn them into a main course. These make a great little snack or side dish to any meal. Your friends will love them so there is no fear of left overs for these little minis. Here's an appetizer recipe you can cook on the grill. 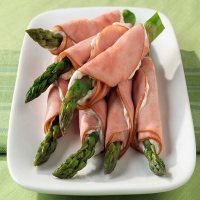 These asparagus turkey roll-ups are full of flavor and make a great snack or side dish. 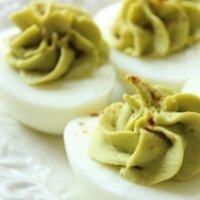 If you love avocados then you will love these deviled eggs. It's a twist on a classic. 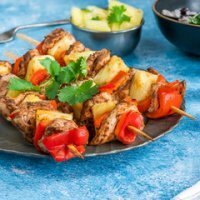 These kabobs have such great flavor and are perfect for your next cookout. You always have room for dessert and this one is so "cool" your whole family will want one. 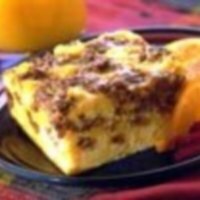 This breakfast idea uses turkey sausage making it a healthier choice to start your day. 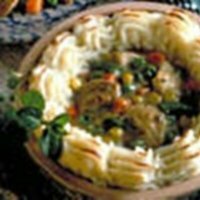 Take your mashed potatoes to the next level with this baked recipe. Before you pile on the bacon bits, salad dressing and cheeses, read this article. The salad you are eating may not be as healthy as you think. Use these tips to curb your appetite. Gaining control of your hunger can help you lose weight and reach your goals. Try this fish recipe for dinner tonight. This is a great main dish to go with these mini sweet peppers.